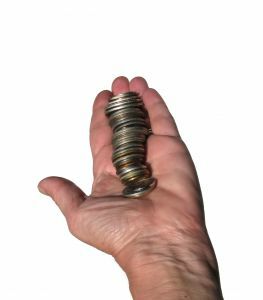 We’ve previously discussed the problem of partial payments being disguised as payments in full, and how this can prevent a New York Business from collecting the full amount a customer owes it. 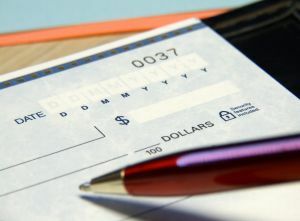 Depositing a check, marked payment in full, normally creates an Accord and Satisfaction, which discharges the remainder of the claim, unless the depositor endorses the check by clearly indicating that he reserves his rights or deposits the check under protest. See UCC 1-207. A check marked “Payment in Full,” however, can be defeated; even if deposited without the restrictive endorsement noted above, there still must be a genuine Accord and Satisfaction in order to discharge the remainder of the debt. It’s important that every New York Business understand what an Accord and Satisfaction is: A subsequent contract that both parties enter into in order to satisfy, in whole or in part, their obligations under a prior contract. It can be established only by showing that both parties were fully aware of, and freely entered into, the new contract. See Merrill Lynch Realty/Carll Burr, Inc. v. Skinner, 63 N.Y.2d 590 (NY 1984); Narendra v. Thieriot, 41 A.D.3d 442 (2nd Dept. 2007); Church Mut. Ins. Co. v. Kleingardner, 2 Misc. 3d 676 (Sup. Ct. Oswego County, 2003). It is also important to know that depositing, without a restrictive endorsement, a check marked “Payment in Full,” does not automatically establish an Accord & Satisfaction: The business that accepts, and deposits, a check marked “Payment in Full,” has to know that, if it accepts that check (i.e. it accepts the lower proffered payment) it will settle or discharge a legitimately disputed claim. See Merrill Lynch Realty/Carll Burr, Inc. v. Skinner, 63 N.Y.2d 590 (NY 1984). This is especially important where there is more than one outstanding, or possible outstanding, claim between the parties. In our last entry, we spoke about a fairly common problem most New York Businesses have encountered: Where a customer/client makes a partial payment but tries to pass it off as payment in full for the money it owes. We also presented a way a business can protect itself: By placing a restrictive endorsement on the check, a business should be able to collect the partial payment and live to fight to recover the remainder of the debt another day. The problem, in New York, is based on a legal concept known as “Accord and Satisfaction,” which sounds more complex than it actually is. To establish an Accord and Satisfaction, there must be a genuine dispute regarding an unliquidated claim. That could mean that the two parties to a sales contract have a dispute over how much the Buyer owes the Seller for the goods it purchased. For example, the Buyer claims it owes the Seller $700.00, but the Seller insists the Buyer owes it $1,000.00, because that is what they originally agreed to. Next, the parties must mutually resolve that dispute by entering into a new contract which discharges all or part of their obligations under the original contract. This could be an agreement by which the Seller agrees to accept the $700.00 for the goods the Buyer purchased, even though the original contract was for $1,000.00. If the Buyer pays the $700.00, and the Seller accepts the $700.00 without objection, then there is an Accord and Satisfaction, and, as a result, the Seller cannot recover the remaining $300.00 due it under the original sales agreement. In New York, when one party accepts a check in full satisfaction of a disputed unliquidated claim, the claim is discharged, as an accord and satisfaction. (See, Horn Waterproofing Corp. v. Bushwick Iron & Steel Co., 66 N.Y.2d 321; Merrill Lynch Realty/Carll Burr v. Skinner, 63 N.Y.2d 590). As a result, if there is a dispute about the money a New York Business is owed, and it receives a check marked “payment in full”, it should make sure that it does not simply sign and deposit the check. Depositing a “Full Payment Check,” that way, is evidence that the business agrees to accept the lesser amount as payment in full. Instead, the business should clearly indicate that it does not accept the check as payment in full. One way to do this is to sign the check with the restrictive endorsement mentioned earlier.